The company was started by Collette Costello in 2008, a talented fashion designer and lecturer. Collette is a embroidery graduate from Manchester Metropolitan University. She worked as a fashion lecturer for a number of years before choosing to start the company. 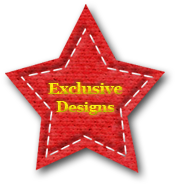 Collette designs all the fabrics and garments sold. She is inspired by travel, history and people. "I love to travel and explore the past. I notice interesting difference buildings, clothing and people. I like to explore situations and recreate them within my own designs with each one telling a story"
The company is based in “sunny” Salford a City next to Manchester. Salford has a history of producing and nurturing talents such as fashion designer Vicki Martin, Doctor Who star Christopher Eccleston, finally musical talent such as New Order and The Tin Tins. We are proud to be from Salford and work towards raising the profile off a sometimes over looked area.